The laws related to the PBC state clearly that the PBC can trade treasury bonds, bonds of other governments, financial institutions and foreign exchange on the open market, without explicitly ruling out the possibility of the PBC purchasing stocks and/or ETFs, but it is not necessary for the PBC to buy stocks in the market. First, China's financial system is stable overall. Among the major economies in the world, only the Japanese central bank had made stock and ETF purchase before, in a bid to secure financial stability and conduct monetary easing. China has called for winning the "three tough battles" in 2017, mentioning guarding against major risks, with financial risk being listed as an important one. The shares on the Chinese stock market are stable at lower levels after the slump in 2018. The valuations are relatively low, but healthy. China has also mitigated the risk of stock pledging through multiple channels. Besides, buffer funds are already an effective way to cope with fluctuations on stock market. The PBC has no need to buy stock in this case. 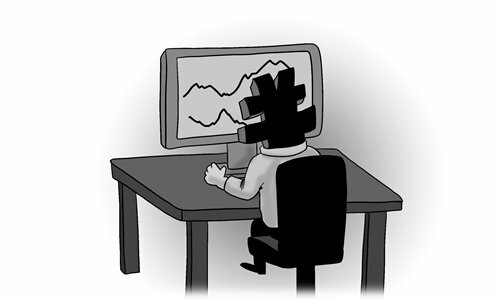 Second, participation of the central bank in trading may amplify any stock market volatility and prevent the normal pricing function of the market. Retail investors in China are among the major participants of the stock market. They may be tempted to buy high and sell low, making the market more volatile. It does not make sense for the PBC to acquire ETFs - irrespective of whether it is an index ETF or a sector ETF. Some may argue that the central bank weighing in on the stock market may support development in crucial areas. But industrial development ought to be backed by monetary and fiscal instrument, even industrial policies, instead of appealing to PBC. Third, there are many other options in the PBC monetary toolkit. China is pursuing a prudent monetary policy and needs to stick with it. Plenty of other tools such as reserve requirement ratio, open market operations, targeted medium-term lending facility, medium-term lending facility and pledged supplementary lending can lead to similar results. The PBC buying stocks will make monetary policy vulnerable to stock trends, which goes against macro-prudential rules. Prudent monetary policy rather than massive stimulus is essential. The central bank buying in the secondary market is just like a helicopter drop. It is actually going against the direction of monetary policy since investors on the secondary market will be the main recipient, not real economy. Fourth, it will create a market supervision dilemma, affecting the PBC's neutral position of implementing monetary policy. Individuals and institutions investing into the stock market have to abide by the regulations imposed by the China Securities Regulatory Commission (CSRC). The CSRC also coordinates the buffer fund operations. If the PBC, which is in close cooperative relation with the CSRC, becomes a player in the stock market, who will coordinate and supervise all the trading and operating? Fifth, a healthy stock market depends on systemic reform of public companies and the stock market itself. Listed companies ought to improve their governance and set goals of becoming longstanding companies with more competitiveness. The regulatory bodies need to consider the best way to deepen the market reforms, including regulations for IPOs, trading and tapering mechanisms, in order to build a healthy equity market.